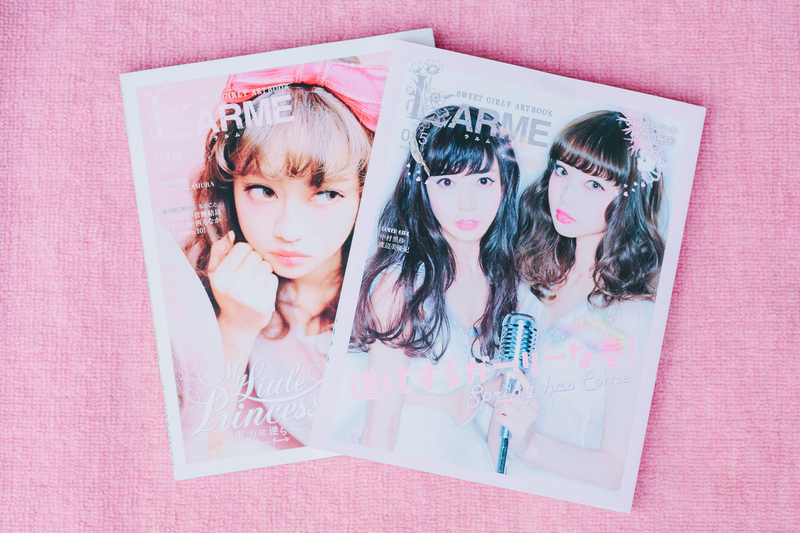 Firstly, my LARME magazines. Not photobooks per se, but LARME describes itself as a 甘くてかわいい女の子のファッション絵本 or "sweet and cute girly fashion book", so I guess these still count? I bought my first ever copy of LARME 016 from Tokyo Fanatics. As for LARME 015, I asked my friend Hanie, who's studying in Singapore, to buy it for me when it came out. Though these days it's a bit hard for me to dress in LARME-kei, I still love the style very much and look at the magazines for inspiration every now and then. If I could pick my top two favorite LARME girls, it would be Risa Nakamura and AMO. These days if you think of LARME, Risa would be one of the people that would immediately come to mind. RISADOLL, her first style book, is just as similar to LARME as you would imagine. But that's only to be expected, as Haruna Nakagori, the editor-in-chief and creator of LARME herself, was the creative director for this book. As for AMO, I've known about her ever since her early KERA days, so I know that she'd been into sweet and girly fashion long before LARME was created. In fact, all of her fans used to just call this style of hers "AMO style". Too bad AMO's not into this particular style anymore. Her AMOSCREAM era was my favorite, so I treasure this book a lot. Idol photobooks! I'm not really a fan of either the 48 groups or Morning Musume (I don't dislike them, but I only like them enough to know a few songs), but I had to pick these up when I saw them at Kinokuniya. 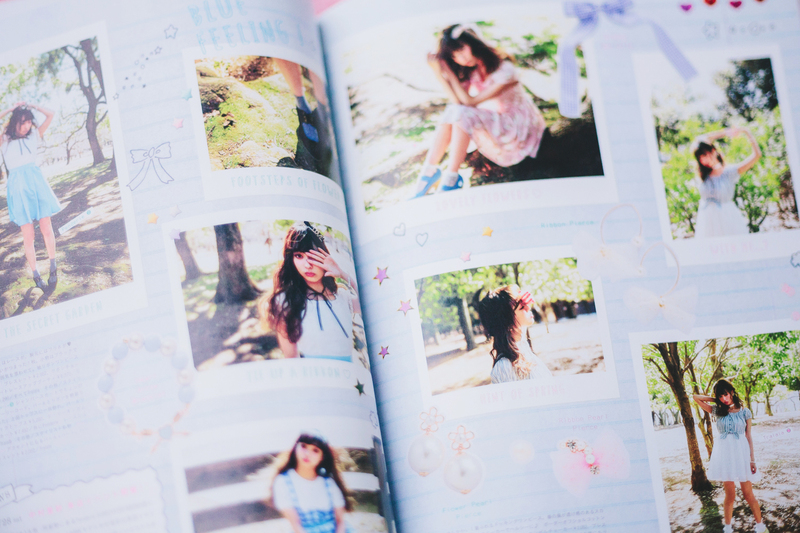 KANAKANA, Kanako Hiramatsu's personal style book, was on my girly photobook wishlist since a long time ago. I knew Kanakana as the designer and producer of Honey Cinnamon, and I only found out later that she used to be part of SKE48. I quite like her personal style and her designs for Honey Cinnamon, so I wanted to get her book when it came out. Luckily there was one copy in Kino left, so I managed to get it still. 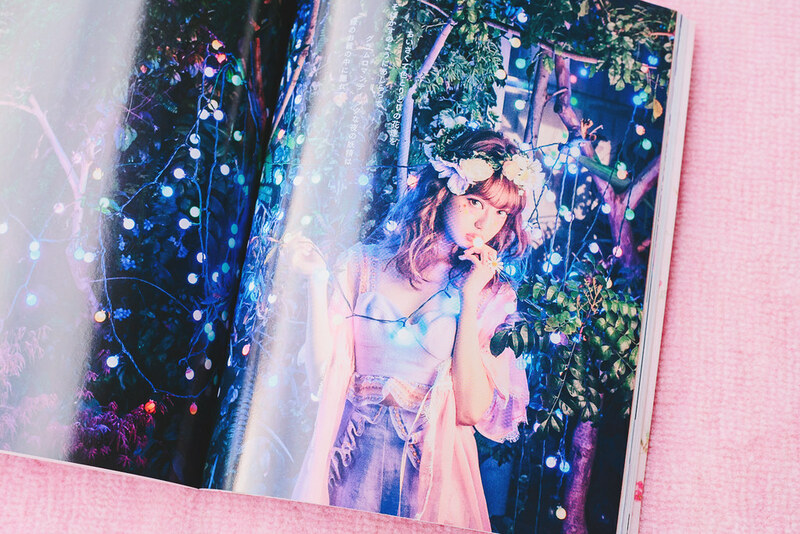 I got it from the idol photobook section, which is where I saw ParU, Paruru's photobook. I hadn't planned on getting it but the cover was so eye-catching that I had to check it out. I flipped through the pages one time, then it went straight into my basket. The contents are SO GOOD. From the creative direction to the photography. As expected of an AKB48 member. Also there was something about her look that I found really interesting, so that made me want the book more. Last but not least is Sayu, Sayumi Michishige's photobook. I only know one Morning Musume song, and it's this. I stumbled upon that video ages ago, long before Youtube came into existence, and used to play it over and over. Sayumi and Tanaka Reina were my favorites in that video, so they're the only MoMusu members I know. Looks-wise, Sayumi was my favorite, so I kept tabs on her photobook work. 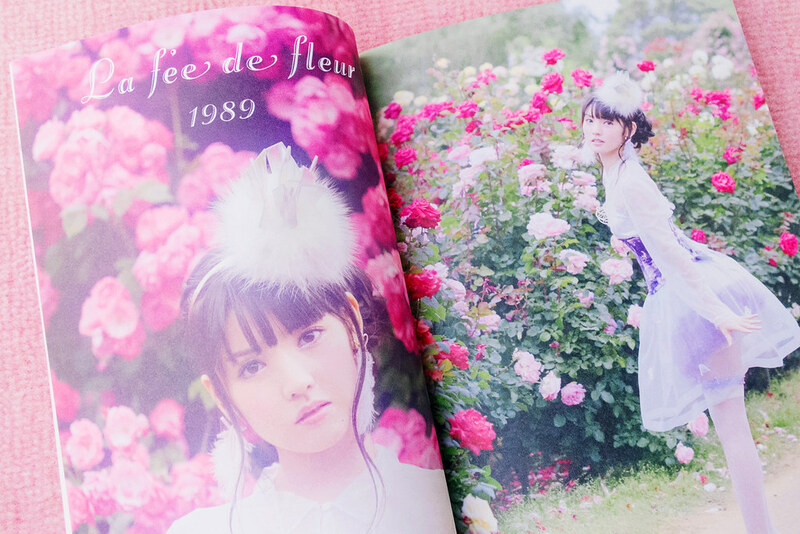 I remember seeing the Sayu photos floating around and thinking how pretty they were, so when I found a copy of the book I thought it was ~*~fate~*~ lol.